Seeing as I run a business that does a large portion of our sales over the internet, I am extremely comfortable with all things internet. I know some older people still cringe when entering in their credit card information on a purchase. If you are one of these people, relax and just go for it. There are so many controls on the vendor side of the equation, it is highly unlikely that you are going to get the wool pulled over your eyes when making an internet purchase. Although, be reasonable. Check out the site in question, look for a few online reviews. One place you are almost ensured to have a good purchasing experience is through Amazon. It is crazy how much of my purchases in life I actually make through Amazon. And for the longest time, I resisted the siren call of Amazon Prime. If you don’t know what Amazon Prime is–you might not be on the internet much. On nearly every single one of the purchases I made over the past year, Amazon has pushed the whole Amazon Prime thing in my face. It was my one big reservation. I hate memberships. They lure you in with promises of great benefits and then you are stuck paying fees every year for something you probably don’t use enough to get full value. There are a few exceptions. If you live close to a Costco–that membership pays for itself several times over in a year. 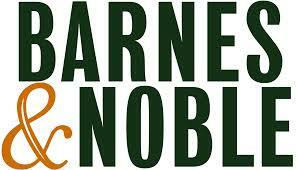 I love reading and am a member of Barnes & Noble. The $25.00 annual fee more than pays for itself with my guaranteed 10% off from every purchase I make through them. They also two-day ship everything for free when you are a member and purchase over the internet. Other than those two, I haven’t found a whole lot of memberships that I like. I absolutely hate annual fees on credit cards. How ludicrous is the whole concept of what the credit card companies are telling you–“How about you pay us for the privilege of then paying us even more in the form of interest. Oh, and by the way, this also allows us to charge the merchant a hefty 2-3% fee that in the end just gets passed on to you in the form of higher product costs”. There, I’m done ranting. 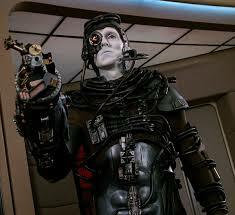 And now, I have learned that with Amazon Prime–resistance is futile. I needed a couple of things from Amazon the other day and realized that although I qualified for free shipping, I wasn’t going to see them for nearly 10 days. I needed one of the two things pretty fast (it was the Elephant Ear–I’ll tell you more about that another day). So I broke down and signed up for Amazon Prime. Wow!! That is all I can say. It is well worth it. Since that day, I don’t have to wait until I have $25.00 worth of things so I can qualify for free shipping. I just get on and place my order. Two days later, my purchase shows up. Well worth it. Plus, my brother keeps telling me I can use it to download free movies and a bunch of other stuff like that–I guess I may have to figure out how to do that–then again, I probably won’t.